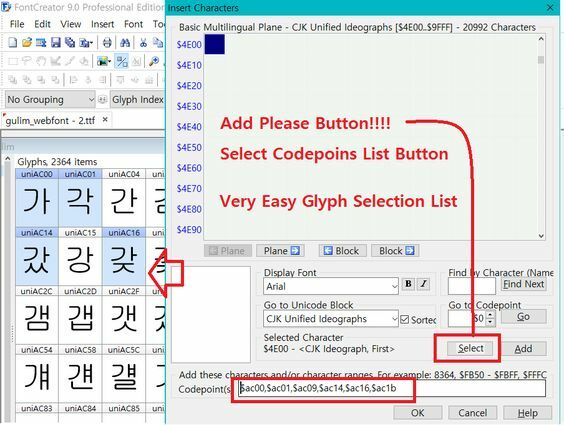 If functionality is added, you can choose any glyph list very easily. If characters already exist in a font you cannot add them using the Insert Character dialogue, so it is not clear what you are trying to achieve. If the aim is to select a number of characters to add to another font, you can simply use copy and paste.